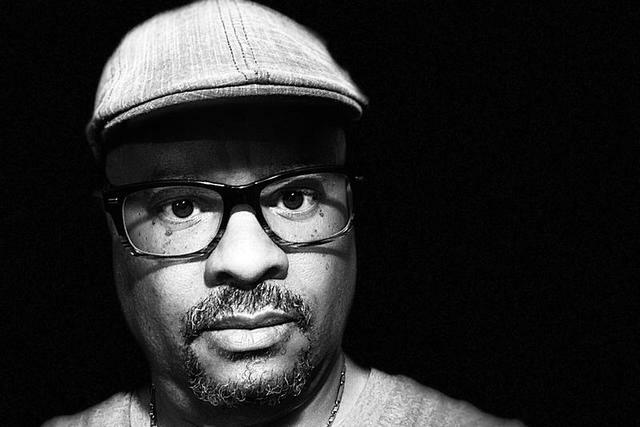 Terrence Parker (known to many as "TP") born and raised in Detroit, has become legendary for his quite uncommon yet skillful turntablism style of playing House Music. TP has also become widely admired because he uses an actual telephone handset as headphones. Terrence has performed as a DJ in 42 countries throughout the world and has released more than 100 recordings on his Intangible Records label and various labels including Sony, Defected, Nervous, Kingstreet, and Purple Music. Terrence has top 20 hits with his songs "Love's Got Me High", "The Question" and albums like “Life On The Back 9” and "Detroit After Dark". Terrence is also making his mark as a techno producer with his “Alarm The Sound” track topping the 2016 Traxsource Top 200 Techno Singles chart at Number # 3. In June 2017, Terrence's album “GOD Loves Detroit” was released on Carl Craig's Planet E Communications label based in Detroit. This album features TP collaborations with co-producers/co-writers Merachka and Coco Street. Terrence also has a forthcoming album entitled "Motor City Life” to be released later in 2017 on Goldmin Records based in Paris. This project features a collection of unreleased versions of Terrence's house and hip hop (downtempo) tracks. Terrence’s 2014 album entitled, “Life On The Back 9” released in January 2014 on Carl Craig’s Planet E label in Detroit was rereleased as an expanded remix album in November 2014 on Defected Records in London. This album which in its debut reached number # 1 on the Traxsource Top 100 Albums Sales Chart, tells the story of how he was encouraged by his father to continue on forward by the struggles and challenges of life. The album features the writing contributions and vocal performances by Merachka, Coco Street, Kelly Gunn, Reno Ka, and features remixes by Carl Craig, Underground Resistance/Timeline, Louie Vega, Josh Milan, Monty Luke, Marc Romboy, Merachka, House Of Praise and Terrence Parker. Terrence does not like to be put in a box. Instead he prefers to be viewed as one who enjoys various styles of music which can often be heard in his music productions and DJ set. He has established himself as one of electronic music’s legendary Producer/DJs and continues to be in high demand as a touring DJ, Producer, and Remixer. Keep your eyes and ears open for more to come from Detroit’s own Terrence Parker. "Shoulda Known Better" - Candy J ~ Tribal America / Tribal U.K.
Dance Zone's Detroit Special ~ MTV Europe - U.K.
TP interview / DJing @ Velvet Lounge ~ MTV Europe - U.K.
2000 - DJ mixes for MOCRadio.com Atlanta, Georgia. 2003 - DJ mixes for The Move/XM Satellite Radio Washington, D.C.
2002 - 2005 DJ mixes for Musical Inspirations Show WDTR 90.9FM Detroit, Michigan. 2002 - 2004 DJ mixes for Inspirational House Mix Show WDTR 90.9FM Detroit, Michigan. 2003 - DJ mixes for Power 106 KPWR-FM Los Angeles, California. 2003 - DJ mixes for EprayzeRadio.com Huntington, Virginia. 1988 - 1992 DJ mixes for Billy T Show WGPR 107.5 FM Detroit, Michigan. 1985 - 1988 DJ mixes for Electrifying Mojo Show WHYT 96.3 FM Detroit, Michigan. 1983 - 1986 DJ mixes for WSHJ 88.3 FM Southfield, Michigan. 1984 - 1986 MUSIC DIRECTOR/Mix Show Coordinator WSHJ 88.3 FM Southfield, Michigan.